Coya Paz gives us the history and a peek into the future of Free Street Theater as it enters its fiftieth anniversary. Beginning as a municipal project in Chicago in 1969, FST was born out of radical ideas and practices and continues to reshape the idea of organizational methods in order to sustain the theatrical field. You can subscribe to this series via Apple iTunes, Google Play Music, or RSS Feed or just click on the link above to listen. Jeffrey Mosser: From the Ground Up is supported by HowlRound, a free an open platform for theatre makers worldwide. It's available on iTunes, Google Play, and HowlRound.com. Dear artists, welcome back. So glad to have you here to listen to one of my favorite interviews with Coya Paz of Free Street Theater in Chicago, Illinois. I remember going into this interview with a sniffle. It was April, but it was snowing again, and I had to plug the meter without gloves on. I have this internal debate about whether or not I should put in one and a half hours or two hours into the meter, which is always the way it goes, am I right? Come on, it's a quarter for seven minutes and Chicago rates ... Anyway, just a long way of saying that I apologize for the sniffles that you might be hearing throughout. It is worth noting that we met on the eve of the 50th anniversary of Dr. Martin Luther King Jr.'s assassination, April 3rd, 2018, an even that Free Street was born out of as an initiative to address the segregation in the city of Chicago and the riots from the 1968 Democratic convention. I'd say more, but I think Coya says it best throughout this podcast. Something that really stuck out to me from this interview is that Coya thinks of herself as an organizer. She said it over and over again, and the goal being to change a heart or a mind. She is committed to notions of self-representation and how a story shapes how people understand themselves and the place that they live. What stories are those, and how do we complicate those stories? She says that she stages debate. She doesn't make plays that have a narrative. The arc of the play is the debate, an offering, an explosion, and that's something that I really love. She also makes a few references throughout this piece. She talks about Bread and Puppet Theater, which if you don't know about Bread and Puppet, I would go down that rabbit hole for sure at some point. Highly political and led by Peter Schumann since 1963. We also talk about Willa Taylor at the Goodman Theater. She's the director of education and community engagement there. She's just one of those fantastic human beings who I'm just really happy has come into my life. Finally, Coya refers to a bunch of neighborhoods and housing projects in Chicago, including the Cabrini-Green, the Back of the Yards, Pilsen. These are neighborhoods that are made up of principally marginalized populations. Throughout this piece, at the very end of the lightning round, it gets interrupted by a book pitch, which is awesome. Coya Paz and Chloe Johnston have written a book that we all should be reading. It's called Ensemble-Made Chicago: A Guide to Devised Theater. It profiles exercises and stories from 15 companies around Chicago about their process. It is a fantastic and quick read, and a must for a deviser and a co-creator in your life. You do not need to be from Chicago to enjoy this book, but it was so delightful to see some familiar names in this. I love knowing how things come to be, and how individuals and groups make their work, which I guess is obvious since you're listening to a podcast about that right now, but I just have to say how I love that this book really incorporates improv into the ensemble based work idea, with the inclusion of Second City and [inaudible 00:03:23], because so often I feel like improv is somehow left off the theatrical spectrum, when in fact, we owe so much to it for the work that we do. All right, I think I've said definitely enough. Please enjoy this interview with Coya Paz of Free Street Theater in Chicago, Illinois. Coya Paz: It's April 3rd. This is Coya Paz. I know I'm being recorded. Jeffrey Mosser: Thank you so much. Check all those boxes really quickly. Jeffrey: Also, I have that print, that all I wanted to be is someone who makes new things and thinks about them. Jeffrey: Yeah, yeah, yeah. I love it. Jeffery: No, no, no. I have the little bitty postcard size printed off, too. Coya: Oh, that's so great. Jeffrey: I love that. I love that. That's my favorite. Isn't it true, right? The best haiku? Coya: Yeah, it is, and that sums it up, right? That we're like, I want to make it. I want to think about it. Jeffrey: Can you first start off, just tell me you've been doing at Free Street? Coya: Sure. Free Street, we've been around since 1969. We're about to turn 49 years old, and then next year we're about to turn 50. So I'm so focused on 50 that I keep forgetting that we go through 49 first. An anniversary like that takes a lot of planning. It's a big deal, I think, in the landscape of any not-for-profit or arts institution to have made it 50 decades. I meant, sorry, five decades. That was terrible math. Our founding mission back in 1969 was to make work that challenged Chicago's racial and economic segregation. We were founded in the wake of the 1968 riots, both after the assassination of Dr. Martin Luther King, so this is the anniversary of that, 50th, and the Democratic convention protests. So the city planner, the man, thought that Chicago could use some healing. They decided that the best way to do that was through a theatre company, and I laugh about it, because to me it seems very naïve. But, that was the founding moment of Free Street where they hired Patrick Henry, who was our founder, and asked him to put something together. What he did was put together a racially integrated from the beginning, and that was a big deal in the late 60s in Chicago. Some would say it would still be a big deal today, given the landscape of Chicago theatre is overwhelmingly white. So he put together a multiracial and multi generational theatre that did free shows in public spaces that were original. It wasn't about performing Shakespeare, for example, in the park. It was about making work together that evoked a communal spirit. I always joke that whatever your stereotype about theatre in the late 60s, early 70s, Free Street was that. Free Street Theater with tambourines and long hair and Afros and flowing clothes and singing songs about let's be a flock together. We're not sheep, we're birds. I'm actually citing an actual song from the early 70s. So just these communal experiences. In the time that has elapsed since 1969, Free Street has often changed the way that we make work and who we're making work with, but never straying away from the original impulse, which is to think about how performance can be used to cross racial and economic boundaries just all of the time. I think that there's nothing we've done in our multi-decade history that isn't a kind of experiment in thinking about how performance can be used in that way. I think the company became more radical as it went on. I don't think its founding impulse was that radical, given that it was paid for by the city. I think we always [inaudible 00:08:09]. You're interested in economics, Free Street was started with a $300,000 grant from the city of Chicago, or from the Arts Council of Illinois, one of those two. In 1969, $300,000 is a lot, a lot of money. So it wasn't started out of this grassroots impulse, but when that money ran out, and it stopped being inherently a city project, the work became much more radical and much more about thinking about structures and systems that caused the segregation in the first place. You can't really, I would say, use performance to ... You can use performance to create a space where people spend time together despite segregation, but it doesn't change segregation once the performance is over. I think Free Street started looking for ways to think about how do we draw attention to the fact that segregation exists and why it exists, and that's what I mean when I say the work got more radical. In the 80s, the whole ensemble moved into Cabrini-Green, which was a housing project, spent a year making a musical with residents, spent a long time as a youth theatre project. I wasn't at Free Street for any of this. I know you asked what am I doing at Free Street. Jeffrey: Sure, sure. No, no, no. Coya: What I am doing is trying to understand what Free Street has done for 50 years. Coya: It became a youth theatre in the early 90s, which I also want to say at the time was pretty radical. Now, you can't throw a rock and not hit a youth engagement project at a theatre company, but that was not so much the case in the late 80s, early 90s. The people who were at Free Street then really pioneered working with young people in theatre and thinking about how the theatre might be used to help young people think about their expressivity and the conditions that shape their lives. But, it also became a youth theatre for almost two decades, which in the grand scheme of things, is not even half the time that Free Street has existed, but it is the most recent memory of a lot of people. So my work, when the board hired me six years ago, it was to do what we call a return to mission, where we are shifting away from being solely a youth theatre company, but that still constitutes about 40 percent of our programming is made by people 21 and under, into back to a multi generational project, because to me, when they were interviewing me about becoming Artistic Director, I didn't think actually what this city needed was another youth theatre company. There's some really excellent ones in Chicago. Now, I also say I think Free Street, the work that young people make at Free Street is extraordinary. I stand behind it fully, but I was really personally interested in that early work of the late 60s and 70s of ... Actually we're such a hyper segregated city still. I often describe theatre as a white supremacy because theatre in Chicago ... Nationwide, but I'll speak of Chicago, so hyper dominated by white professionals, and even who we deem professional or not professional is so shaped by ideas about credentialism that are also ideas about whiteness, I think. So what I've been doing in my time at Free Street is preserving the youth work that we were doing. We're not doing any less work with youth than when I came, but we've just added a whole bunch of other programming, all of it back to this ... I think of our work as a laboratory of thinking about what is the problem? What are the structures that are creating this problem, and what kind of performance project might we design to address this problem, and what our goals were, what do we want to happen? I'm not super optimistic about ... I don't think performance in and of itself changes anything, except maybe a mind or a feeling, but I'm an organizer. That's a very low goal for me. Someone's heart will be changed, and then what will they do? But, what I do think about is our work at Free Street can be a part of a larger strategy around different issues and challenges facing communities. We're really committed to notions of self-representation and how story shapes how people understand themselves and understand the place where they live. So what stories are we telling about ourselves and the places where we live, and how might we complicate those stories? That's what I've always been drawn to. I'm talking a lot about philosophy, but in terms of our aesthetic, I started my work as a director and ensemble theatre maker at Teatro Luna, which was my first theatre company. I co-founded it in 2000, and that was an all-Latina theatre company at the time. I had never made a piece of ensemble theatre. I went to college in the 90s, and it wasn't very ... It wasn't something you took a class in in the 90s. Coya: Bread and Puppet came to do a workshop at my college. That was as close as I ever came to this notion of co-creating or devising performance. So at Teatro Luna, we had originally thought, I think, "Oh, we're going to produce plays by Latina women, and we're going to cast canonical plays with Latina characters and put them in Latino settings," but to me, that didn't feel right. It still us telling a mono-narrative, and to me, the whole thing about being a Latina is that [Spanish 00:15:05] is such an umbrella term for so many different kinds of people, and to say that somebody is a Latina actually tells you very little about who that person is, but it tells you a lot about how that person might be perceived by people who are not them. Does that make sense? Coya: And so, that was what we had in common, is that we were all subject to ... even though we were all from really different places, we were all subject to the same set of stereotypes or a handful of certain tropes reappeared in how people tried to cast us or work with us. To me, telling stories together and adapting our personal narrative became what I thought was most interesting, and that's what we started doing, is telling our own stories and co-adapting them together and working in this ensemble ethos that let us challenge each other. I, often in my work, stage debate, because I find that lets you get a lot of ideas out in a way that has conflict, can be funny, is interesting to the audience, all the things we want in a play. I don't make plays that have a narrative. I make plays that have a debate. The arc is the argument, assumption, counterargument, explosion, the offering. I think about the shape of my work in that way. So at Teatro Luna, I really became interested in how do we make work together, and what does it mean to be an ensemble, and how do you invite the audience into that? We also did a lot of solo performance at Teatro Luna, and I think a lot of that is one, there just were not in the early 2000s a lot of plays that had characters for complicated Latina women. As an artistic director at Free Street, we do six to eight new shows a year. We're incredibly prolific. I joke we're a factory for ensemble and co-created work. We talk about our work as co-created, because sometimes it's as few as two people making the play together, but never pre-scripted. It's my kind of rule. I'll start with an idea or here's the concept, but it never turns out the way I imagined it would, and that's not a bad thing. It's been complicated, or a new perspective comes in, or we go somewhere and we're like, "What? Oh, we can't possibly do this. We need to change it all." My staff at Free Street is endlessly concerned about the ways in which I'm so loosey-goosey with, "We're going to change it all right now," and they're like, "No, Coya. We can't." They're like, "We have some grant deliverables due." But, I work really hard in my capacity, both as a maker, but also as a facilitator of other people's ensemble work, to think about how do we to the extent that is possible reimagine our structures as needed every time we're working on a new show so that's it never has to be make in the same way we made the previous thing, if that doesn't serve this particular project. I think we have to be creative, not just as artists, but as administrators to the work. Jeffrey: And that's a fantastically big challenge, to leave yourself open to the possibility of let's start from square one again. How did you start to practice that, leaving yourself open to changing on the spot? Coya: Yeah, that is hard. I do think that part of why you don't see co-created work happening at a lot of big budget theatres, thinking about your questions about economics, is that a playwright will go through many, many, many drafts before anyone decides it's time to bring in a larger team. So that work is being done small scale. I don't mean intellectually or creatively, but it's really the playwright, maybe the director, and maybe a dramaturg before. With ensemble work, you have everybody there, ideally even your designers, from the beginning. So then it's a much bigger ship to steer, but I think maybe ship is not the right analogy. We have to be like an amoeba, or like Katamari. Did you ever play that video game where you're rolling? It's a Japanese video game. Coya: And you're picking up all this stuff. Jeffrey: It just collects and collects and collects and collects. Yes. Coya: Yeah, so this is it! Jeffrey: Oh my gosh. That's an anxiety inducing game, right? Jeffrey: I have to get it all! Coya: Right. Yeah, yeah, that's true. I don't think it as stressful [crosstalk 00:21:03]. Jeffrey: No, no, no. It's also very satisfying, because it's collecting and building and more and more and generative. Yeah, yeah. Coya: Yeah, and you take it on. At Teatro Luna, we didn't have seasons. In Free Street, we're under a little more pressure to have seasons, just from a marketing perspective. Coya: At Teatro Luna, because we were not a ... We were a theatre company, but really, we were a theatre ensemble. So nobody was shocked if we were like, "We'll see you in a year and a half with a new play." That was our new play. We weren't under pressure to make three plays a year. We made a play every year, every other year, and then we toured the play that already existed. We were constantly showing work in progress. That was what we developed was that we would show work in progress on a regular timeline. Not one that was publicized, but we'd be like, "Oh, guys," or "Mujeres," we never called each other guys. It's been a minute since we showed any of this to an audience, because the danger of co-created work is that you can become a world in and of yourself, and you lose the perspective of what the audience is going to see or think or feel. It's so easy to start referencing inside jokes and inside things, and it's like has anyone ever made this piece legible to the audience. So we would show our work and then would get feedback, and then we'd come back and remake it. We often used festivals as an opportunity to show a work in progress before we ever mounted a production. Because of the way we worked, it was pretty easy for us to go to funders and say, "Hey, I know you gave us some money to work on this project, but it's not ready yet. But, here's what we've been doing, and here's how we showed it to an audience." So you are still able to make a case for the funding somebody had given us, for example, which is I think a lot of times people are worried about their grant deliverables. So they're trying to put something in front of an audience. Coya: We're always very comfortable saying, "This is a [Spanish 00:23:18]," like a little taste, and actually inviting the audience in for commentary as a part of our process. [inaudible 00:23:26] long. We also toured. So that's actually how we made most of our money. Over half of our budget was earned income from touring. Our budget was never more than $100,000 a year. It was pretty small, but we didn't have a lot of overhead either. We do a show when we feel like it. Our shows sold really well. They usually paid for themselves. We would get a grant to develop it, and we would tour. So that way, everybody in the ensemble was also making money. We had double cast every part in every show. It was flexible. We all knew each other's parts, so if I couldn't go to this college on this date, somebody else knew my part. So we could have five people go. You could have seven people go. It was that intimate a thing. So that's how we paid for that. Free Street is much more like ... First of all, at Teatro Luna, we charged. Free Street is completely, 100 percent on a free or pay what you can lotto. Every year for 49 years, assuming all goes well this year, we've done a show outdoors for free for whoever happens upon it. We don't ever charge for those shows. Then, the shows in our spaces are pay what you can. So if someone wants to reserve a ticket in advance, they can buy one online, and it starts at five and goes to a thousand! No one ever pays $1,000 for a ticket, but you never know. Jeffrey: No, that's exactly it. You never know. Someone will be like, "I have been here before, and I know what this value of this is," and they'll drop it. Hopefully sometime soon, hopefully. Coya: Who knows? Yeah, yeah, I think actually we don't put a thousand on there, but I think it goes up to $100. Jeffrey: It goes pretty ... yeah, yeah, yeah. I was looking at "Juan(ito) Doe," and I was looking at it, and I was like, "Oh my gosh, this structure is awesome." Coya Paz: Yeah, but actually, if someone came to the door, they could give us a dollar or a song or whatever. It's pay what you can. It doesn't have to be money. We've had, especially children, they'll come ... "Meet Juan(ito) Doe" is in a story front that we built out, because we needed a space on the south side, and we couldn't find one that wasn't attached to the government, and we didn't want that. So we made the space, but our main space that we perform in during the year is in Pulaski Park. It's a Chicago Park District building on the third floor. We have the whole third floor. So it's a 70 seat theatre, and then we have an office, a rehearsal room, a lobby. We often get kids wandering up from other park programming, and they're like, "Well, can I come in and see?" And we're like, "Well, what are you going to pay us?" They're like, "I don't have any money." We're like, "You don't have to pay with money. What do you know? Do you know a joke? Tell me a joke." We try to really model it is an exchange. I think that that is why it's not just free or donation, but we do say we do ask audiences to attach some value to the work that artists are putting into making this. But, actually, it's not for us to decide what people can afford in their attaching of value. Does that make sense? Coya: For some people, $10 is nothing, and for some people, $10 is really the whole margin of their income. Coya: It's the difference between being able to afford to get on the bus or not. So I don't know what one person's dollar is to another, or that just because someone doesn't have money doesn't mean that they don't want to be able to offer something else. I think if we're trying to avoid totally capitalist thinking, we do have to think about what else demonstrates a value. At the same time, we live in capitalism, so as an arts administrator, I can't be too woo-woo about let's get rid of money, because we still have ... I joke at Free Street that we have the worst business model in the world, because we offer everything free or pay what you can. The average ticket price on our shows is $7.50. That fluctuates, but pretty much, that's what it comes down to. So that's not where we're making any money. We pay all of our artists, designers, community collaborators, for the most part. I say for the most part because sometimes we'll do a free workshop that's ... We don't pay people to come to the free workshops, but neither do we charge for them. Coya: And when we're doing anything that's more than one session, we do pay anybody that is making a commitment to being with us more than once. So that's a rough model of where does the money come from, and some of it we do have quite a bit of foundation support. That's a majority of our money, and I think that's a really precarious place for any ensemble or any company, because foundations change their funding priority. Program officers change, boards change. They like us now. They might not like us next week. So that makes me nervous. We do hope that people will make donations. We do operate on this very Pollyanna thing of, "But if you can afford it, then please pay for it so that other people who can't afford it can still be a part of it." The problem is we don't know a lot of rich people because we don't cultivate that as our community. By rich people, I don't even mean like super wealthy. I mean people with any disposable income, because so much of our focus as a company is on filling gaps and building networks and creating representations of people who are not usually included in the theatre. So people that maybe don't have a lot of money. It tends to be where we're focusing our energy. It's funny, because the number of people who give us donations is quite high, but the donation amount is like $5, $10. So adding it all up, we could have a thousand people give us $5, and that's still only $5,000, which didn't even pay for one show. You know what I mean? Coya: That's the problem. On one hand, I'm like ... And I think this is actually some of what funders are looking for. Actually, we do have a lot of community buy-in. It's just that our community doesn't have a lot of money to buy-in. So then, how do we get people who have a little more money to support it is always the question. I feel like that's my constant hustle, is balancing the politics. I'm always with the board. I want to say my board is super supportive of my vision for how our money circulates. Every now and then it comes up, like, "Should we just be having more volunteers?" I'm like, "We will have no volunteers. This is work." We have to value, literally value people's labor. It's not that people are getting ... even probably paying their rent with what we can afford to pay at Free Street, but I will say we are competitive, if not much better paid than your average storefront theatre, but we're not paying equity rates. But, it shouldn't cost somebody money to work at Free Street. For example, we offer co-programming, childcare basically, during rehearsals if people need it, because babysitters are expensive. Coya: If you have to pay somebody ten, fifteen, twenty dollars an hour so that you can come make $2 an hour at rehearsal, that's not going to work out for you. Do you know what I mean? Coya: Because I always think, okay, actors get a stipend if they're lucky. Not at Free Street, but at other places, 150 bucks and six weeks of rehearsal. That doesn't even pay the cost of getting on the bus and coming. So, for me, at the very least, it should not cost anybody any money to be an artist. We also offer children's free co-programming at shows so that people don't have to get a babysitter to come see the plays. Also, children are very welcome in the plays, but sometimes it's not relaxing as a parent if your kid is fussing, as kids do. So we're aware. So, I got a little bit off track. Oh, so I try not to have volunteers. Every now and then, we need someone to help us paint the floor. It's nice if someone wants to be like, "Yes, Coya. I'm your friend. I'll come paint the floor," but as a friend favor, and not as an operating model for the company, which I think too often we operate on people's unpaid labor, but then how do we sustain ourselves as a field if we're constantly saying the only way to make a living in theatre is if you're working in an equity house. Well, that's a limited pool. Most people won't then. I think we need to be smarter about how we are imagining our own economies and what we're paying money for and what we're valuing. So my board is pretty supportive. We've had a couple of debates about the price point for fundraisers. I want the fundraiser to be free. They're like, "The whole point of a fundraiser is to raise money. It can't be free," and I'm like, "Okay, but can we ..." Actually, we're working with a fundraising consultant right now because I'm trying to get a little more of our operating costs coming from more diversified sources than foundations. So more individual giving, broadly. If one person stops giving us $100 a year, that's not a crisis. If one foundation stops giving us $15,000 a year, that is a crisis. Our fundraising consultant is really great about being like, "Coya, what if we identified a sponsor who would pay for the event, and then it could be free?" Then, I'm like, "Yes, that's what I'm talking about." Coya: That's what I want. So that's where it's helpful to bring in people who are professional thinkers about money. I do study arts economy as a researcher, but that's not about how to raise money. That's about where money goes and who are foundations supporting or tax dollars supporting. Where is that money circulating? Not so much like how do we raise money. Then the other thing I think we did at Teatro Luna really well, and I've been thinking about how to do this better at Free Street is how do we just market ourselves as experts. Teatro Luna did a lot of workshops and college tours and trainings and things like that. So Free Street, I think, has a lot to offer other companies, in terms of thinking ... Everyone's talking about equity, diversity, and inclusion, but they're thinking about it really cosmetically, and they're doomed to fail. [inaudible 00:36:05] to say we met at intersections, but I was just at a different intersection. That's why I was like, "Why didn't you introduce yourself?" This was just last weekend. It was after we had been emailing. Coya: I was at a different intersections conference. That's such a popular names for theatre conferences, and it was about community engagement and outreach, and hearing people talk about their projects, I'm like, "Guys, it's not going to work. I'm not trying to be a hater, but what you're talking about is not going to work, because you're not starting at the source of the problem and working out. You're trying to fix the result of the problem, which doesn't change how that problem is bubbling up." Does that make sense? Coya: I'm using like 40 analogies and metaphors here. Jeffrey: No, no, no. I love a good mixed metaphor. That was my favorite. Coya: No, please. Go ahead. Jeffrey: I was going to say that it feels like people are not looking at the source, and like you're saying, it's cosmetic. People are looking at here's the results of EDI, and we need to be on our end worried about retroactively addressing it in a very odd way. Even that isn't fully encompassing of the whole idea, but it's not looking at who can buy tickets, or who can come through our doors. What might be the target that we should be looking for, rather than just the cosmetic fix. Coya: Well, this is what I think about some of that. It is true, our efforts for equity and diversity and inclusion are so focused on the representational, like who's on stage, who is maybe the playwright, maybe who's the director, though I see that the least. Not even who's on the board, who's the artistic director, who's the marketing people? All of it is ... So often, people do a Latino play, for example. You can't see me making air quote signs, but please say "The black play," or "The Latino play" in air quotes. As if somehow that's going to bring in this new, diverse audience, and the problem is solved. And as soon as you're not doing a black or Latino play, you're not going to have black or Latino audiences in, because it's not about ... It assumes that a black or a Latino audience doesn't know that there are white stories being told on stage. If they only came to the theatre once, they would keep coming. Actually, the reason why you don't have a lot of Latino and black audiences, for example, for a play that is not by an African-American playwright or featuring a Latino cast or whatever it is, it's because, one, theatre is super expensive, and why would you pay $80 to see the same thing that is available to you everywhere. What's exciting about a Latino play is like, "Finally! I can see something not available anywhere else." Does that make sense? Coya: So it doesn't address the fundamental problem of people's desire to see themselves represented. We talk so much about the theatre as being like a bridge. It's an empathetic art. We understand the human story, and I'm like, I'm sorry. I see, and I mean this with such ... I don't mean to sound like a hater. As any person of a difference, it's constantly crossing an empathetic bridge to understand mainstream narratives. That's all there is, is stories of white, cis, het people all the time. So if you're not any of those things, you've already your whole life been crossing a bridge and trying to lead things in a way that's applicable to you, and it's very insulting to imagine that people should keep doing that work over and over again at a really high price tag with no ... You know what I mean, in a way because you threw them a token. That's assuming an audience that maybe would have the disposable income to see the theatre. The reality is that for most people, the theatre is inaccessible, not just financially, but geographically. You look at a city like Chicago, we think about the Goodman, and actually no shade to the Goodman. I think that their engagement department is run by a damn genius. Willa Taylor is one of the smartest people I've ever met in my life. Jeffrey: Yeah, she's my favorite person. Coya: Yeah, she's amazing. Seriously, no shade, but we imagine the Goodman as somehow being in the center of the city, and it's just absolutely not. It is all the way east, just off the lake. The city goes really far west, and it's in the loop, which isn't even in the middle of the city. So if that's what we're imagining our center to be, we have already decided the farthest west and the farthest south and the farthest north of the city are so far on the outskirts, they don't matter. Or we take ... The red line ends at 95th, but it actually keeps going for dozens and dozens of blocks past that. What does it go to, 138? Coya: So it's like, how are people even getting to see theatre or going to see plays? When we wanted to do "Meet Juan(ito) Doe" in a space that wasn't ... That's our current show, in a space that wasn't a park district building, a school, or a church on the south side in a Mexican neighborhood, we actually had almost no options. The handful of options we were exploring were not Latino owned, or Latinx owned. They'd already been bought by gentrifying arts people. That wasn't the economy we wanted to support with our dollars. "Oh, you opened a performance gallery in Pilsen? Great, but that's not where we're paying rent." Do you know what I mean? Coya: Unless you are making it by, for, and with a community that is being pushed out. Does that makes sense? Coya: So we had to make it ourselves, because there's actually just not spaces like that to rent. So much of what we're trying to figure out, and I think that other theatres should be more thoughtful about this, is when you get money to do a project, for example, where are you spending that money? Is it circulating in the communities you're designed to reach? We've hyper valuized the arts dollar, right? For every dollar spent on the arts, you see up to $28 of corollary spending at bars, at restaurants, shopping. That the money spent on theatre drives the economy around it, but when you do a community engagement project, where the whole things is like, "Oh, we're going to go collect stories in the community, and then we're going to bring them back to our theatre that's not in the community and perform them." You've vacated that arts dollar from the community, and usually have not paid the people in the community to share those stories. Coya: Of most really large theatres. The Goodman, I'm sure they don't spend $300,000 a year on photocopies, but maybe on flyers, I'm sure. So we try to think about, okay, who are we hiring, first of all? Who are our artists, and who are we paying money to, to the extent that they can be from underrepresented communities, the better, or under hired is really what ... We talk about under representation, but really, it's under hiring. We just haven't hired people to do work. What percentage of every project budget can we actually spend in the communities we're serving? So buying our paint there, buying our food there, renting a space there, hiring local people to cater. There's so many ways that we can think about driving economy around even a project. Then, of course, performing there so that we're inviting the audience to come to a space and, hopefully, spend money there. So we think about economics pretty comprehensively at Free Street. But, if your engagement project isn't thinking about it in that way, you're always just going to be ... It's like, why do you want me to come see your show? You know what I mean? Really, what are you trying to do? It's about me seeing you, not what you're doing for me. Does that make sense? Jeffrey: It totally makes sense. It reminds me of something that Willa said to me at some point, being that they tried to make work in a community, for the community that is left there. We're going to make this, we're going to leave it there. You have it now. So that is the sort of engagement that really excites me. If we're not committed to working in that community, then what are we doing in that space? Why are we there? Jeffrey: I just want to take a quick second and take it back to your current budget of 300,000 and just ask how much, and you said this was a very small amount, but I was wondering if you could put a percent on how much is contributed versus how much is earned income. You said that earned was a very small percentage. Coya: Earned is almost none of it. Coya: Yeah, I would say earned income is ... I have no idea. Maybe 15 percent? Coya: Almost all of our money comes from foundations, quite frankly. That's changing. We have our individual donations are up, as is ... Well, it's hard. The reality is the number of people coming ... We have a lot of people that come to see our shows, but they're aren't paying a lot of money. Coya: It depends on what the show is. We attract multiple demographics, but I think if you came to see any Free Street show, you would find it much more racially diverse than pretty much any other theatre in Chicago. In "Meet Juan(ito) Doe," for example, it's about Mexicans on the south side. I don't think it's a surprise that the audience is pretty Mexican. A lot of the people who are like, "What? I want to see that," are Mexicans. That said, always is a strong percentage of non-Mexican, non-Latinx people at those shows, too. A lot of times, it's people who have had to travel, maybe for the first time, into a Back of the Yards, which isn't ... And we were really nervous about that, because we're like we don't want to be a force for gentrification. We don't want people being like, "Hey, it's cute here. I can't afford Pilsen, so let me move a few blocks south." That's not what we're going for. There's the youth show, for example, opens next Friday. It's immersive prom themed. It takes place at a prom, and the audience is cast as people at the prom, but it's about radical love. How do we use love as a force for change and change making? I'm sure they'll be citing some Bell Hooks. The youth ensemble is more than half African-American. It's about a third ... I don't know how to do math. It is, I believe, maybe a quarter of the cast is white and the rest of the cast is Latinx and African-American. You see in the youth shows in particular a really strong piece of the audience is friends, family, and community around the young people. So a lot of their peers at school, and that tends to segregate. A black actor in the youth show, most of the people coming to support them are black. That's just the reality of how people live, but then that makes for a really diverse audience. My daughter, she's a super savvy little human. She's nine now. She made this observation almost two years ago where I was stressing about money and people coming in, and she was like, "Mommy." She's like, "You say that you want to make sure everybody that can afford to come can come, even if they only pay a dollar," but she was like, "I think the people who pay a dollar could afford to pay a lot more," and that was interesting. Because what she was reading, and I actually started doing some demographic study on this, is that a lot of the people who are not valuing the work are people that I would read, now again, I'm not on the inside of their checking account, as people who were likely to follow seeing the play by going to get a $12 cocktail. Do you know what I mean? Just based on reading the outfits, the clothes, the conversation in the lobby about getting drinks. Oh, that's interesting. You paid $5 to see this play, because you're saving your money to go out for drinks or buy a bag of weed or there's other things that you're prioritizing that are not like rent and diapers. They're all similarly entertainment, whereas the higher ticket prices were across the board, in the unscientific ... I just, for the run of a show, would just track the racial demographics of who was donating what range of money, for me, because I was curious. I'm a [inaudible 00:51:45], and I was curious. I wanted some data. Middle aged black women across the board gave us all the 20s. Do you know what I mean? Here's what I'm paying, $40, and it was almost always white hipsters that were like, "Here's $5," or "I didn't bring any money." Jeffrey: Yeah, I don't have cash today. Coya: I'm like, "You didn't bring any money to the play? We take credit cards." Again, the policy is designed so that people, again, we're not deciding for people. I got into an argument with one of my collaborators on a different project that had a sliding scale attached to it, and it was by income. So if you make $50,000 a year, you should pay 10. I was like, "Whoa, I don't think someone's annual income is an accurate gauge of how much disposable income they have," because you could make $50,000 a year, and if it's just you, and you're not caring for ailing parents and you don't have any children and you don't have any student loans, that's a lot of money, but if you are making $50,000 and you have two kids and you're still paying off student loans, that's no money at all. Jeffrey: That's a lot of life to consider before you. Coya: Yeah, I don't know what somebody's insulin is costing them. I don't know anything about somebody's life. All I can say is that we made this. It was not free to make it. Everybody here is a laborer themselves, and so how do we support each other? I don't know. I haven't mastered it yet. Coya: But I'm working on it. Sorry, you were asking me questions and [crosstalk 00:53:23]. Jeffrey: No, no, no. That's solid. No, listen, these are the spin offs that I want to be touching. This is good. You own your space, correct? Coya: No. This is an important piece of our economy is that we've been arts partners in residence with the Chicago Park District for 29 years. Coya: We pioneered the project, so we were the first to approach the Chicago Park District and say, "Hey, can we trade?" And I say we. I was in high school. It wasn't me. It was my forerunners at Free Street. "Can we trade space for classes?" And they said, "Sure." At the time, Pulaski Park was in a really working class neighborhood. The neighborhood has changed around the park. It's near Bucktown, to give you a sense. It's kind of funny that that's our home, because the more the neighborhood changes, the less our work and the people making our work reflect the community around us. I don't think that was the case 20 years ago. Coya: So we exchange classes and free programming for our space, and the Chicago Park District, I think, is a major subsidizer of the arts in general. Every park district space either has or would be open to having an arts partner. So somebody that is basically living there. Albany Park is also an arts partner. The Seldoms are arts partners. Everywhere, when you start to look at economy and theatre and experimental dance, a lot of people are subsidizing that by exchanging classes for space in a park district, because it works well for the park, too. They have the space. What they don't have money for is programming. So we are really proud to ... We collaborate really closely with the park district. I think the park district is an unsung hero of Chicago. We talk so much about how Chicago is this thriving theatre scene. It's cheap to make theatre here, but how many auditions have you been to in a park building? Coya: The park is a really valuable resource for artists. So we don't pay for our theatre space, but this is part of why we've tried to ... Part of what we tried to do. Our most valuable asset is the 70-seat theatre, in a way. It's not the fanciest theatre you ever saw, but a 70-seat theatre is not nothing in a place where most companies really need a space. So what we try to do is make that space available to as many people making work aligned with our mission as possible. We have a residency program where we are housing ... Right now, we have four different artists projects in residence of people making work that is co-created for free in our space. They are able to use rehearsal room, use our computers, photocopy, all of that stuff. Coya: And when the time comes, when the show is ready, and for some, the show might be ready in October. For some it may be another year, so they'll just keep making, keep playing. It's like we want to take away all economic risks. They have space for free, including performance space when the time comes, and then we also pay for the children's co-programming as needed. A box office person will handle all the front of house. We give them a board op, and then, depending on the project, we may also pay for a director or some piece of the set budget, and then we pay for the marketing. Coya: And then it's a box office split. So we always say the pay what you can model is not negotiable, so you're unlikely to get rich from the box office, but what we want is this not to cost you anything to make, so that you can make new work without accruing financial risk if audiences don't come. But, actually, we have quite a passionate audience at Free Street. They're just not paying a lot of money to see shows. Jeffrey: What I'm hearing is it's so much more important to have an exchange and to have a community and to have the roots growing. The most important thing, and though money, shame on all us non-capitalist, but the money is important, right? But, the money in these circumstances are not the driving factor for making the work. If we could have people come for free, that would be great. If we can make it so that it's a zero cost for everyone to come through the door, but still be able to pay the actors would be some sort of dream world that would be great. Coya: We have two full-time staff at Free Street. 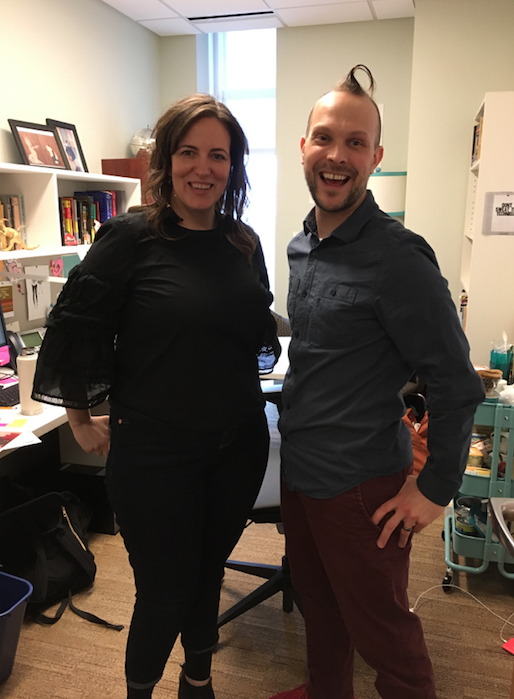 Melissa DuPrey is our General Manager, and Katrina Dion is our ... She has the most convoluted title, Youth and Operations Coordinator. I don't know what her title is. She runs our youth programming, and then also is basically our grants manager. She kind of has a mash-up of things. She was a double major in theatre and math, so that's perfect for her. Coya: She's a director by training, and then mathematician by love. Usually, it goes the other way. Coya: So they run our day to day operations. I'm there part-time. We have about three other part-time people that work for us, either as a teaching art ... We have a teaching artist who does the 12 and under, because in exchange for our space, we offer quite a few classes for small children. So Bella is our small children person, and then we have a part-time staff person running the Storyfront space, just making sure it's open when it needs to be open and clean and letting people in and out. Then, we're about to hire a curator for that space, which will honestly, it will be an internal hire. We've been putting together money to pay somebody for the work that they're doing. Does that make sense? Coya: He has been paid. It's Ricky Gamboa, has been paid from one grant, but that grant has ended, but our commitment to programming in that space has not. So now, we've been like, okay, what's the new role going to look like, and what do we need it to do in exchange for money? Almost all of our money of that budget goes to people. Our other costs are minimal. Usually, our sets, they're not fancy. We do beautiful work with what we have. We try to operate on an asset based model. Instead of worrying about what we don't have, let's think about what we do have and what we can do with it. That's it. Actually, a lot of theatre in the history of theatre has operated in that way. Shakespeare, promise, did not have a huge production budget. They were trying to put as much money to paying themselves as possible. Since, "Oh, look. There's light!" You hear it in the words. You're not going to see it in the production. So we operate on that model. We try to create a cool look for things, but sometimes our cool look for things is right outside in the park. There you go. We don't spend a lot of money on marketing, maybe to our detriment. We're about to rebrand, so we'll see what the rebranding agency says. We are trying to model. It's like, "Hey, we don't have to make our theatre company the way any other theatre company has ever been made. We can reinvent structures that work for the work we want to make and the way we want to make it. Sometimes, that's a slow change. In the case of Free Street, I inherited a lot, and I've changed a lot, and we're still changing. I don't know what our work will look like in ten years, because we're still playing. I hope we'll always look different. So anyway, I do want Free Street to get some credit, though, for doing things like pioneering the Arts Partnership Project. Someone had to go to the park district and be like, "How about this?" Now, dozens and dozens of theatre companies can afford their rent because somebody at Free Street did that, literally 30 years ago. You know what I mean? That we have night out in the parks. Well, Free Street was the proto night out in the parks, in our collaborations with the park district saying how can we be outside and make work. Now, we have literally 5,000 events. I'm not saying Free Street did that alone, but in terms of shouldering ... Going back to this thing of I think about our work as a laboratory. We have been the early risk takers in a lot of experimental work. I don't mean experimental in terms of content. I mean in terms of what would it look like if we produced on this model? Sometimes it's been not that great. Free Street has been at the brink of financial ruin many times in the last 50 years. I am getting ready for 50. I've dug through the archive, not by myself, with my whole team of awesome people, and the sheer number of, "Well, we're going to be bankrupt now," and then we're not, because we're willing to pivot so completely and not be attached to what we had planned to do. What is important is that we are able to respond to our mission, not to our season planning, not to any of that. Does that make sense? Coya: If we have to ... I don't know. It hasn't happened in my time that we decide not to do a play. It has happened in my time that we'd push back a play, but not for money reasons, for I don't think this is ready reasons. Then sometimes we don't, because the artist is like, "I do!" And I'm like, "Well, you're going to find out." All right. Coya: Because we don't make money from our shows, we have no pressure to make money from our shows. That's really liberatory. Coya: But, then you do have to be creative about where money is coming from, how you're living, or I don't know. Jeffrey: Yeah. I want to totally respect your time here, so I'm going to jump right to the lightning round. Jeffrey: Which is, off the top of your head, the answers to these questions. What's your favorite form of transportation? Jeffrey: What's your favorite salutation? Jeffrey: What's your favorite exclamation? Coya: I do say oh my God all of the time. [crosstalk 01:05:47], and I put a lot of exclamation marks in all of my writing. Facebook keeps flagging my regular posts as spam because I use all caps and exclamation so often. Jeffrey: Oh my gosh. Yeah. Coya: They're like, "We've removed this for spam." I'm like, "But it's not!" Coya: Put it back, put it back. Jeffrey: What does ensemble mean to you? Coya: We can. Yeah, I just wrote a book, co-wrote the book, of course, in the spirit of the book with the awesome Chloe Johnston, who is a Northwestern ... We both were in performance studies at Northwestern, and the book is called "Ensemble-Made Chicago: A Guide to ..." I think we had to change the name to put devising in it. I was sad, because I usually don't use the word devising for my work, but it looks at 15 companies in Chicago who co-create work. It's both a mini history of each company and then exercises that they use to create their work. Coya: We have 48 exercises in the book. So we hope it will be both a handbook and a history. Coya: Yeah, in the spirit of how do you make stuff? Cool, can I borrow it? I'm going to make this other thing. That's so much of how we work, but one of the things I say then, and one of the things we say in the book, and I think it's true, is that ensemble starts from whoever's in the room and goes from there. It's just a way of working that doesn't presume hierarchy. I always extend thinking about the ensemble to the audience, to the extent that our work must rely on an audience, it should. How do we make space in what we've created for people to add their own invention and their own creation as the show is happening is an aesthetic that we've tried to cultivate. Jeffrey: Yeah, because an audience brings their own luggage to every show anyway, so yeah. Coya: Yeah, and are the talking back or [crosstalk 01:08:05] they having a dance party. There's a scene in "Meet Juan(ito) Doe" where there's a dance party, and I swear the audience, they're like, "Wooo!" They're ready to party, and [inaudible 01:08:18]. It's funny. Jeffrey: They want to go, yeah. Coya: -to jump in. I'm like we want all ages to be eager to jump in. We should make our work that way. Jeffrey: Yeah, totally true. What is the opposite of Free Street Theater? Coya: Probably, I don't know. I feel like there's no way to answer that without being mean to another company. Coya: But I think any company that is all white on the northeast side of the city, charging more than $10 for a ticket. Coya: To a play by a playwright is the opposite of us. Jeffrey: What would you be doing if you weren't doing this, if you weren't at Free Street? Coya: Well, I also teach full-time at the Theater School at DePaul University. So, grading papers. I don't see ... I'm an organizer. I was raised by leftists and organizers, so I think I would be doing some other kind of community organizing if I weren't doing it through theatre. Jeffrey: Great. What's your favorite kind of ice cream? Coya: Well, I don't eat any dairy, but it used to be pistachio, and I like soft serve better than non-soft serve. Jeffrey: Do you have a favorite substitute? Coya: No, none of it is great. Coya: I just stopped eating dairy in September, so it's very recent. Jeffrey: Sorry, I'll strike this from the records. We don't need to worry about this. Coya: You know what's funny is one of the projects I'm working on right now is a journalism collaboration with ProPublica. Coya: We're touring around the state doing workshops, engaging people around the question of fake news, and one of the questions that I always ask when I'm trying to create controversy is do you like ice cream? Because actually, a lot of people have very strong opinions about ice cream. So I don't think you should strike it, but just know it's a more controversial question than you might suspect. Jeffrey: Yeah, yeah. Well, people have very strong opinions about, oh, pistachio. No way. Or whatever. Awesome. I'm glad you touched on the ProPublica thing, because it was on my list of things, but I do want to let you go to prep for your next thing. So thank you so much for your time today. Coya: Thank you, thank you. A big thanks to Jerrell Henderson who was able to put me in touch with Coya to begin with, so thank you, Jerrell. I hope you're doing great. I really loved this. I loved doing this interview, and it really got me thinking about structures in my life. Structures of how do we address the problem, a problem that has been built and exists like a building that we have to walk around. Hmm, just something to chew on there. A reminder to check out Ensemble-Made Chicago: A Guide to Devised Theater by Chloe Johnston and Coya Paz. Just check it out, okay? Great. All right, this has been Jeffrey Mosser, and you've been listening to From the Ground Up. 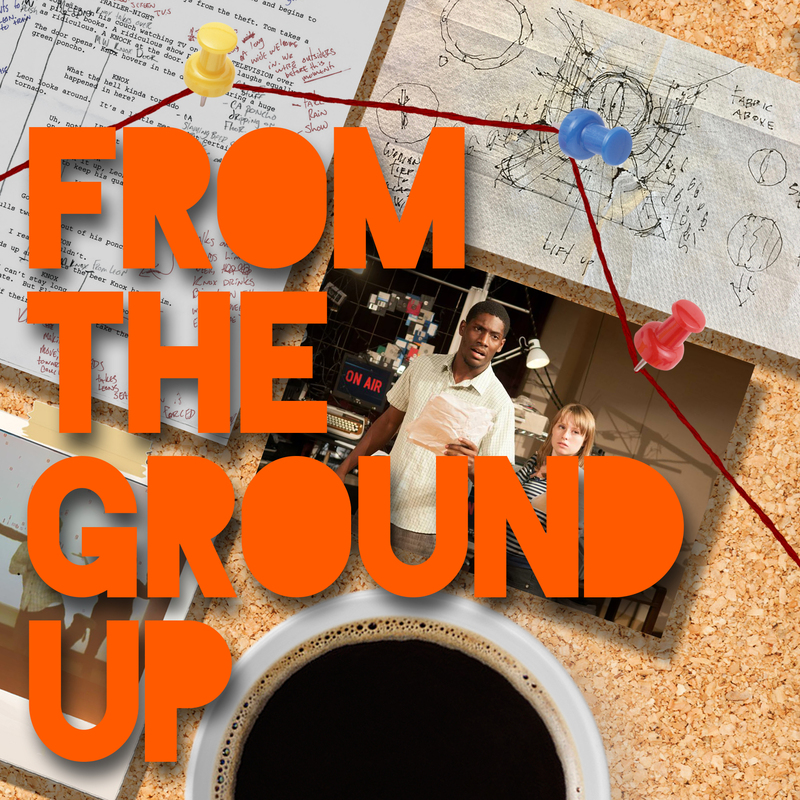 From the Ground Up is here to ask the questions about this often generative method. Who’s doing it? How is it practiced? Are they paid? Are they able to thrive? We’re also examining that word: Ensemble. What does it mean? There is no roadmap, format, prescription, description, or rubber stamp to the way ensemble-based work is made from place to place and process to process. This podcast interviews companies from around the country on how they make and pay for the art. If you have questions about where to begin or what to do next with your own company, stay tuned.